The fact that he could admire The Woman, and appreciate her cunning was something I felt humanized him. Sherlock Holmes knew he wasn't the best, yet, he was not a particularly humble individual, yet he was smart enough to know that he had flaws and here were people better than he was out there. I think the value he placed on others that he deemed worthy made him the both likable and great. And it is because of this I felt that the BBC version of Sherlock was one of the more faithful adaptions of that brilliant detective. But there is a bit of a balance problem that I have with it. I feel that Irene Adler was both over and under represented as herself in that series. I felt that the show cheapened her. She showed up way more than necessary, for no purpose whatsoever. The Woman beat Sherlock based solely on wit. It had none of that sexual undertone that was built into the show that I found particularly insulting. And Doyle was smart enough to write a character that didn't win by luck, she beat him with guile. However she wasn't interested in seeing if she could lose. So she never came back. I read the complete adventures of Sherlock Holmes when I was in 6th grade, and Irene Adler shaped how I view women, then and now. It's interesting to me how adaptations of Irene Norton, né Adler, a woman who loved her new husband so much that she would never use the incriminating photograph she possessed because it would harm them both, depict her as this criminal in love with Sherlock Holmes. Aside from that gripe it is a good show. Though if I am to pick nits, I might as well be thorough. I hate how he is perceived as bumbling- and I'd say it's because of the Nigel Bruce characterization, except that Agatha Christie apparently at least in part based her Captain Hastings character on Watson and he was an absolute bumbling idiot. 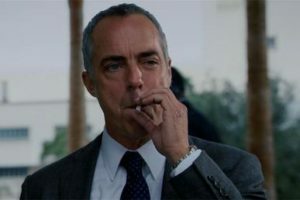 One of my least favorite characters ever. 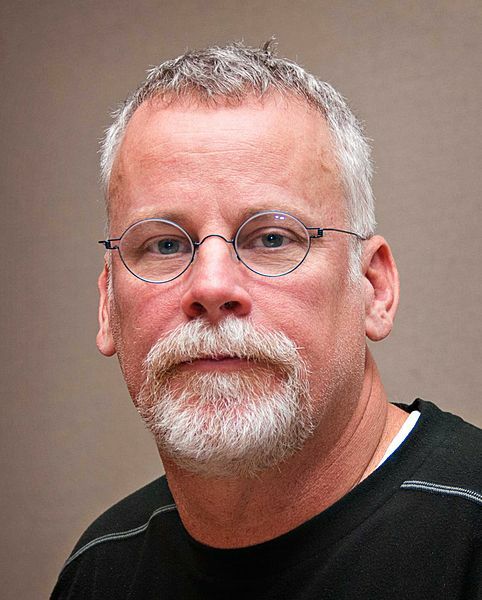 Watson was a normal guy working with the tools he had and generally going an awesome job. Watson added a lot to the stories. 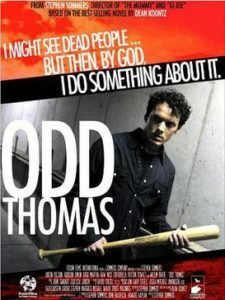 I really love the Odd Thomas series and after finishing the last book I haven’t been able to pick up another book. I am really interested in all the other characters that Odd encounters along the way. His powers and the responsibility that goes with them are immense but he just takes it in stride and acts as if saving lives is the most mundane thing in the world. When I got to that twist ending in the first book it was like getting punched in the face. I still remember putting the book down and just thinking on it. And realizing the foreshadowing leading up to it. I’m normally not caught off guard with twist endings, that one definitely got me. If you want to get the most out of it the only hint that I will say is pay attention to all the little aspects of the book because they call back to them through out the series. If you do that the ending is beautiful. The atmosphere and characters that Koontz brings to life have just always enthralled me since picking up the Jane Hawk books. You could try and read them out of order; the books in the Odd Thomas series stand alone well, but if you want to really carry the overall tone the books carry with them I’d start at the beginning. There is a sense of foreboding that builds through the series and Odd does go through a series of realizations that build upon each other. In a very real sense the entire idea that Stormy (Odd’s true love from book one) put forth about life being a boot camp plays kind of a big underlying role in the underlying themes of the series. Skipping around may lose some of that effect. As a big fan of the books I was skeptical before watching the movie. I was not disappointed. I thought it was a fantastic movie, and I think I’ve watched it 4 times already. I think this is a new and interesting take on the genre. This is something of a love story combined supernatural thriller. The best part about movies like this is that they don’t take themselves too seriously. They do inject a bit of humor. Anton Yelchin plays a clairvoyant short order cook. But not clairvoyant in the palm reading, Taro card sense. He has a gift for communicating with the murdered victims that allows him to help solve their case. At the same time, he is in no sense a detective. He likes the quiet life of a short order cook. But dark forces have other ideas. There is no way I can describe it in a way that would give you a good sense of the movie. If you like independent films, you will like this. If you are remotely into the horror genre, you will like this. If you like good suspense and mystery, you will like this. However, if you are entrenched in Hollywood Blockbuster fair, then you will still like the movie, just not as well. I think I would easily rate it 4 out of 5 stars. I know that season V is in the works, and I see a lot of potential to fall into the trap that season II & III did. That was the action aspect. Drawing on his military career. Aside from being a tunnel rat we don’t know what happend to him in the war. And I am fine with that, it worked well in season I to hint about it since it fit into the world and the case that he was trying to solve. With the death of Elenor I feel like they may be trying to take it back into an action Harry direction (original show runner is also coming back from season I-III). Let Harry be a cop. There’s plenty of trauma and drama right there. Don’t make him take on the world.